The center has a variety of activities detailing the history of the Adirondacks, and prides itself on its deep connection with both the area’s past and present. Opened in 1957, the museum captures the transformation of the region from its lumber days, to its current reputation as a popular outdoorsy getaway. Activities at the museum include visiting the timber exhibitions to learn about the area’s history, going to the family friendly outdoor adventure section and visiting the new exhibit opening in 2017 titled “Life in the Adirondacks”, which will detail the history of the peoples of the area, including Native Americans and early settlers. The Wild Center allows visitors to explore the allure of the surrounding environment, while still having an informative experience. Inside the center, visitors will be exposed to the wildlife that makes the area their home, as well as a variety of exhibits that explore the natural history of the Adirondacks. Outside, both guided kayak and stand up paddleboard excursions are available. 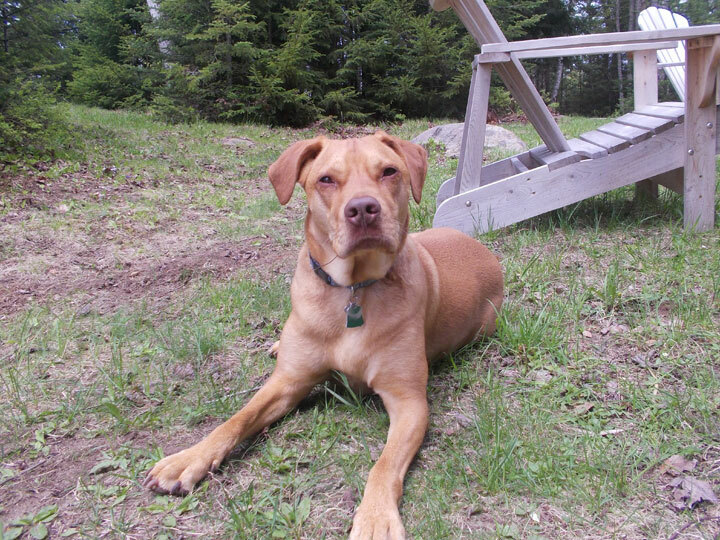 You can also easily explore the many trails located on the property, which are all extremely well maintained. Another notable experience outside is going on the “Wild Walk”, a trail of bridges spanning across the Adirondack Forest. Here visitors can climb up to an eagles nest with a breathtaking view, or swing on rope bridges hanging high amongst the trees. One of the main attractions of the region is the wonderful hikes it offers. Ranging from short, easy hikes, to long strenuous treks, there is a hike in the area perfect for any type of traveler and fitness level. 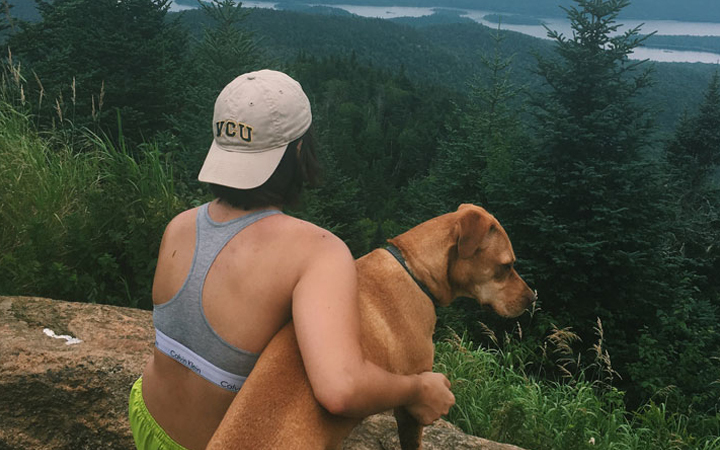 With access not only to the Adirondacks’ 46 High Peaks, hikers can explore four of the most popular hikes including OK Slip Falls, Siamese Pond Wilderness Area, Chimney Mountain and Snowy Mountain. A view from summit of Snowy Mountain pictured above. Yet another way for visitors to enjoy the great outdoors, kayaking is ideal for those looking to see the region from the water. Pike Point and Beach Point have four kayaks that can be used by our guests. From your kayak you can see the magnificent wooded regions surrounding the many lakes and rivers in the area, as well as many different forms of wildlife such as fish and deer. Kayaking is the perfect way to revel in the peaceful surroundings when exploring the nature filled region that surrounds Lake Abanakee. 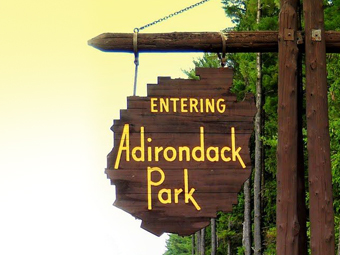 For more information on Adirondack water sports, click here. 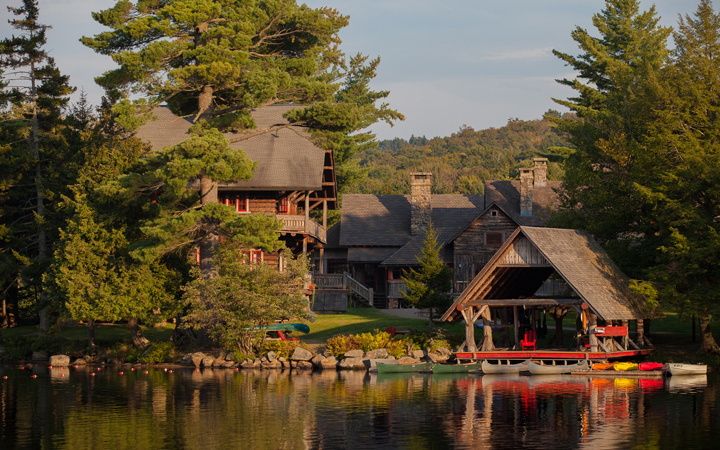 The Adirondack Park is home to many historic Great Camps. These camps were built so that wealthy families could continue to live in luxury, even in the remote wilderness of New York. The Camps were designed to complement the wilderness environment of the Adirondacks, a concept that is reflected in the native materials used in the building process. Many Great Camps offer professional or self-guided tours of the properties throughout the year. Below we have links to three of these camps including a link to the Great Camp Sagamore which is pictured above. 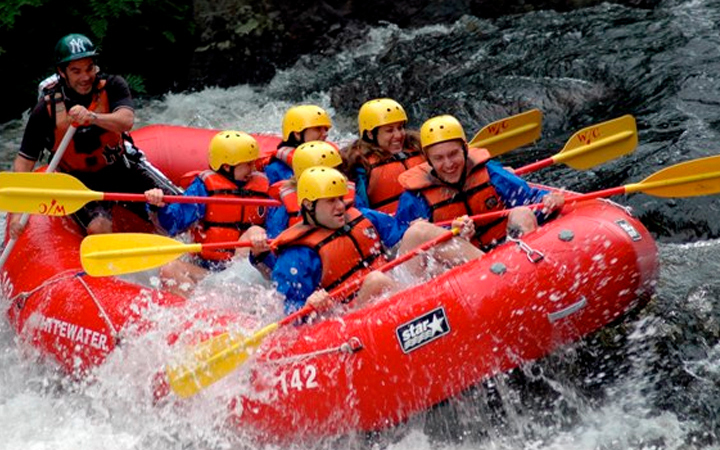 A popular summer activity, Whitewater Rafting on the Hudson is not for the faint of heart. 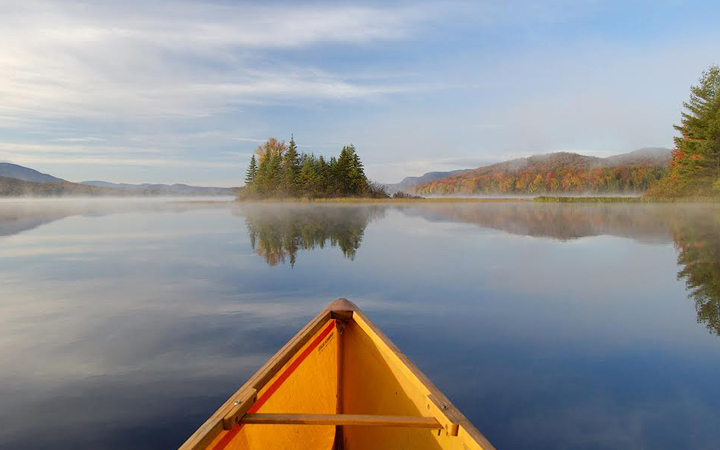 Paddle your way down the clear, powerful waters of the river, and see the wildness of the Adirondacks. There are many different tours to choose from in the vicinity of Indian Lake, with the season usually beginning in April. Sometimes you can see wildlife on the tours, ranging from large bird to the rarer moose. On every tour you will be provided with a certified tour guide that has lots of experience whitewater rafting in order to ensure your safety, and offer instruction and guidance about the surrounding area. Pike Point and Beach Point are located on Lake Abanakee and is ideal for visitors who like to go fishing. 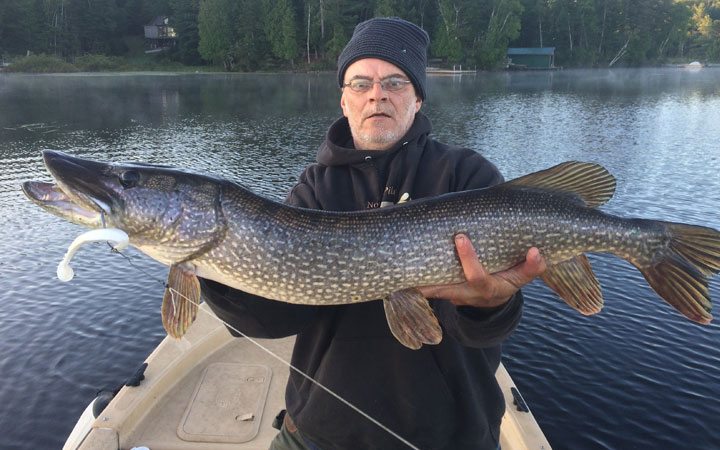 Hidden in our calm shallow waters are good quality Northern Pike, Largemouth Bass, and Smallmouth Bass. Younger anglers will enjoy catching smaller species such as Yellow Perch, Bluegill, and Pumpkinseed. Lake Abanakee often feels like a private lake as it is not uncommon to spend a whole day fishing without seeing another boat on the water. Many days your only competition will be a nesting osprey or a visiting bald eagle! Here you can expect high quality, peaceful fishing in an extraordinary setting. While some people prefer to head indoors when the temperatures dip, most anglers look forward to one of winter’s most popular activities: Ice fishing! Experienced anglers down to novice and first timers will enjoy the abundant options for setting up the best ice fishing hole. Ice fishing in the Adirondacks often produces spectacular results like this 41-inch Tiger Muskie caught on Lake Durant located less than 10 miles away from Indian Lake. Ice fishing seasons run November 15 – April 30 for species with no closed season or minimum length, and that’s a span with a lot of tricky weather at either end. 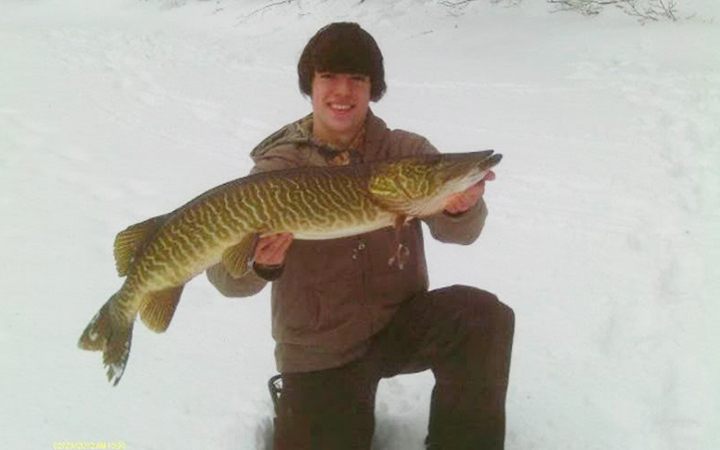 For the big fish like northern pike, pickerel, tiger muskellunge and walleye, the season shortens to end March 15. There are many trails near Indian Lake that are accessible to snow mobiles, making this a perfect outing for a winter’s day. 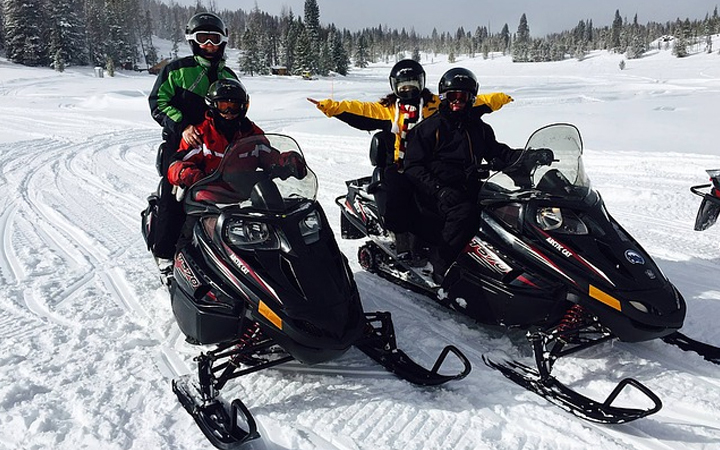 You can easily rent a snowmobile to enjoy the winter environment of the Adirondacks by getting out into the wilderness. Make sure to stay safe when snowmobiling and not to go anywhere you are uncomfortable driving! We recommend visiting ilsnow.com, it’s a great local site everything snowmobiling. Known for being the largest ski resort in New York state, Gore Mountain attracts both skiers and snowboarders from all over the eastern USA. Spanning over four mountains, there are different levels of terrain available, including 107 alpine trails and 27 gladed regions. 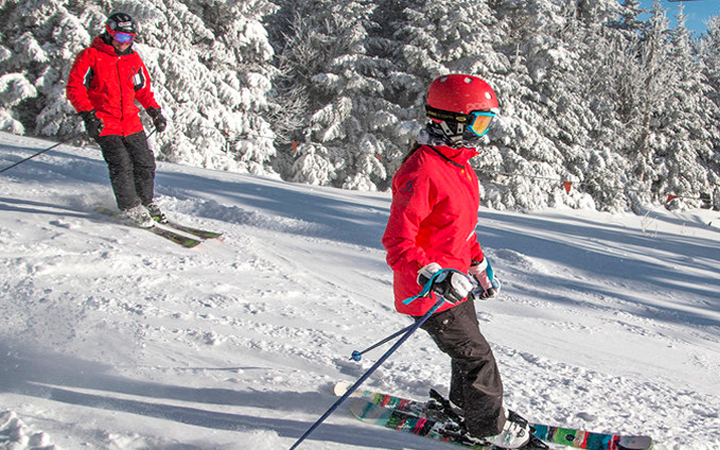 Skiing at the resort is a fun way to experience the stunning winter beauty of the region. The ski hill receives a large amount of snow yearly, making it an essential visit for any skier or snowboarder.